There is plenty of business support available for all types of start up operations, and restaurants are no exception. However, in order to gain the benefits of this support you do have to know where to look and work out how to get the best out of it. Like all sorts of government start up support, the people that are able to maximise their business funding, advice or free training are the ones that know when the deadlines for applications are, how best to fill in the requisite forms and what they need to say at interviews. That is not to say that gaining government start up support is purely an exercise in those in the know ticking the right boxes, rather it is a great support available to all if you know where to look for it. So, there’s the rub – where do you look for it? 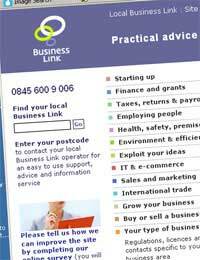 A great place to start is your local Business Link office. These are government funded offices that provide excellent advice on what is available to you. There employees tend to be people that were previously employed in the private sector and have many years experience in writing business plans, gaining funding and helping new businesses to launch successfully. An area that Business Link is particularly well set up to provide support for all types of training and funding. They will give you an initial assessment to find out about your proposed or new business – perhaps by sending an advisor to your home or restaurant premises. They can help you with match funding for IT issues, such as getting a website up and running or installing a relevant network. They are also great at marketing issues, getting you in touch with graphic designers, printers and so on. You can also go along to your local Chamber of Commerce to ask for advice about specific local business funding. They may simply point you in the direction of the Business Link, but they may also have a funding or a support savvy person that knows all about what loans, schemes and programmes are available that you can take advantage of. The Princes Trust is also a great place to speak to about launching your new restaurant business, as long as you are under thirty years old. Although it is not government funded, they have close ties with political parties and it is widely considered a very positive cause to support. The Princes Trust has a terrific workforce of employees and experts giving their time for free. The employees tend to be commercially astute people that can advise you on all aspects of your business – mentoring, gaining funding, finding a suitable marketing strategy – the list is endless. As it is a popular charity, the experts you may have access to, can give you great advice and often a leg up in terms of exposure for your restaurant. They regularly publish a magazine that features a number of their celebrity patrons as well as success stories for the businesses they have helped to launch. Should You Be Chef or Restaurant Manager? Is There a Right Time to Open a Restaurant? What Can Go Wrong in the Restaurant Business? I am trying to help my mother in taking over a restaurant. We really need help with funding to try and change the current idea of what they do as she has completely revamped the shop and the menu with amazing success but the customers aren't noticing at the moment. She has done it all on her own and due to personal circumstances is unable to get a bank loan. It is really difficult to try and advertise and get all the stock when the money is coming out of my dads pay chewy at the moment. We really need help to get some advertising and our name out there or I'm not sure how much longer we can afford to keep it going. If anyone had any help,tips or ideas they would be really appreciated.